FAR HILLS, N.J., USA and ST ANDREWS, SCOTLAND (March 1, 2017) – The USGA and The R&A have unveiled a preview of proposed new Rules of Golf, as part of a joint initiative to modernize the Rules and make them easier to understand and apply. The online release of this preview begins a six-month feedback and evaluation period during which all golfers worldwide can learn about the proposed changes and provide input before they are finalized in 2018 and take effect January 1, 2019. The announcement follows a comprehensive review process that began in 2012 with a working group of key USGA and R&A Rules administrators, professional tour officials and other Rules experts. While the Rules are revised every four years, this is the first fundamental review since 1984, and was established to ensure the Rules fit the needs of today’s game and the way it is played around the world. The proposed 24 new Rules, reduced from the current 34, have been written in a user-friendly style with shorter sentences, commonly used phrases, bulleted lists and explanatory headings. The initiative also focuses on assessing the overall consistency, simplicity and fairness of the Rules for play. The Rules are currently delivered in more than 30 languages, and the proposed wording will support easier translation worldwide. When adopted, the Rules will be supported by technology that allows the use of images, videos and graphics. Simplified way of taking relief: A new procedure for taking relief by dropping a ball in and playing it from a specific relief area; relaxed procedures for dropping a ball, allowing the ball to be dropped from just above the ground or any growing thing or other object on the ground. Videos and Infographics: Visual explanations of the proposed Rules. Golfers are encouraged to review the proposed changes and submit feedback online via worldwide survey technology that can be accessed at randa.org or usga.org/rules from now until August 31, 2017. The feedback will be reviewed by the USGA and The R&A in establishing the approved final version of golf’s new Rules. These are due to be released in mid-2018 ahead of a January 1, 2019 implementation. Social media fans can also follow the discussion using #GolfRules2019. 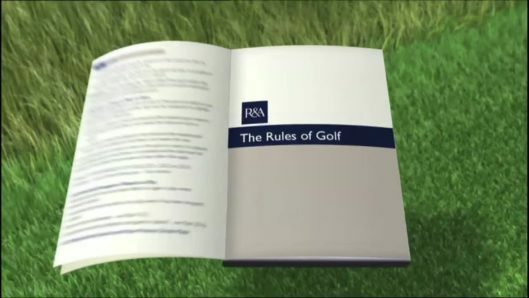 Players are reminded that the current 2016 Edition of the Rules of Golf remain in force when playing, posting scores or competing, until the new Rules are officially adopted by the USGA and The R&A in 2019. The Rules of Amateur Status and the Rules of Equipment Standards were not part of this review process.